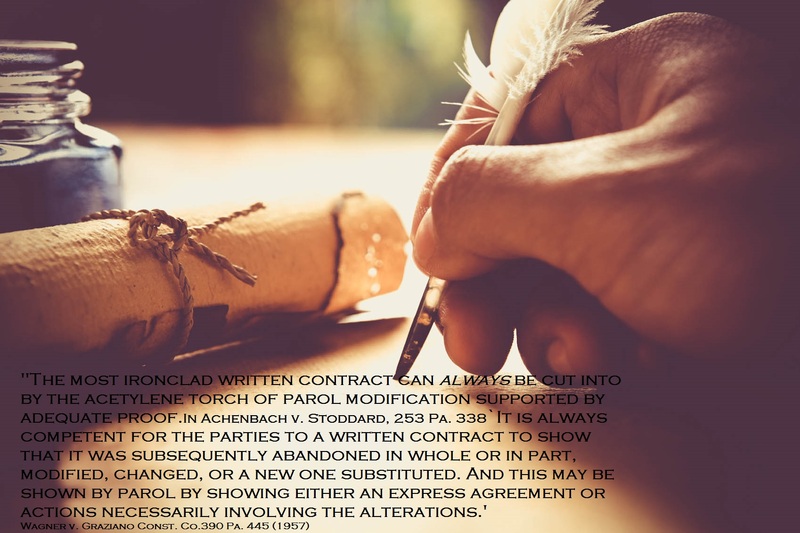 Even where the contract specifically states that no non-written modification will be recognized, the parties may yet alter their agreement by parol negotiation. The hand that pens a writing may not gag the mouths of the assenting parties. The pen may be more precise in permanently recording what is to be done, but it may not still the tongues which bespeak an improvement in or modification of what has been written. This entry was posted in Uncategorized on November 3, 2014 by 2012summerconference.